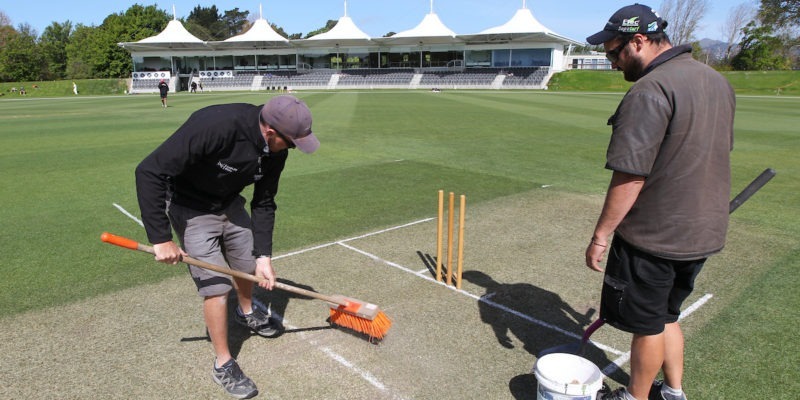 NZC is pleased to announce the recipients of the annual Cricket Pitch of the Year Awards for the 2018-19 season, with the Hagley Oval turf management team taking out the International Pitch of the Year award. NZC GM Venues, Facilities & Events, Graham Parks, says it’s great to acknowledge the significant work of the turf managers across the country. “These are the unsung heroes of our game who go about their work with minimal fuss, all while providing essential support to the delivery of cricket across all formats,” Parks said. NZC GM High Performance Bryan Stronach says cricket surfaces across New Zealand continue to be prepared to a very high standard. “The pitches we produce are a key element in the development of our players’ skill sets and overall enjoyment of cricket across all levels, we have seen some fantastic surfaces this season,” Stronach said.